I am doing a chicken dance right now!! ha ha. After few weeks of hard work, my alexa global rank had finally came down from 3 million to 53,861 and my traffic rank with in the US is even greater. You might be wondering why I want it to go lower? For bloggers the lower your alexa is, the better. Lower number means there are more people visiting your site and you have good traffic. Since most advertisers check the alexa rank of a blog before they do business. When I bought my domain name I think about a month ago, all my previous alexa rankings under my blogspot name were gone and it was showing no data available. I was freaking out almost gone mad because I thought I did something wrong. I was appeased when I realized there was nothing I can do to get my previous ranking back instantly and I have to start over and let time work. My friend told me not to freak out, it will come back under my new domain name. So, I stopped worrying and waited for few weeks. Lo and behold, it is down and still going done and now it's 5 digits on my alexa global traffic rank. Aside from the ranking, my alexa widget that shows my ranking to my readers is finally working. I had figured out the problem. My blogging career is getting better and I would like to thank all my friends, readers and co-bloggers who are there supporting me by just simply visiting my site and reading my posts. Thank you all and to God be the glory. oh yeah, that feeling is somewhat familiar, you feel great when you see improvement in the hard work you've been doing. Congrats on the low Alexa Rank. I also enjoy a low alexa rank because all my traffic passes through Alexa. Yahoo, see and ang ababa na agad mng alexa mo sis. Way to go! WOW!! Great job!! I wish my Alexa rank were than low! I am currently at 17,537 in the US. But that is OK.
Congratulations! That's awesome!! 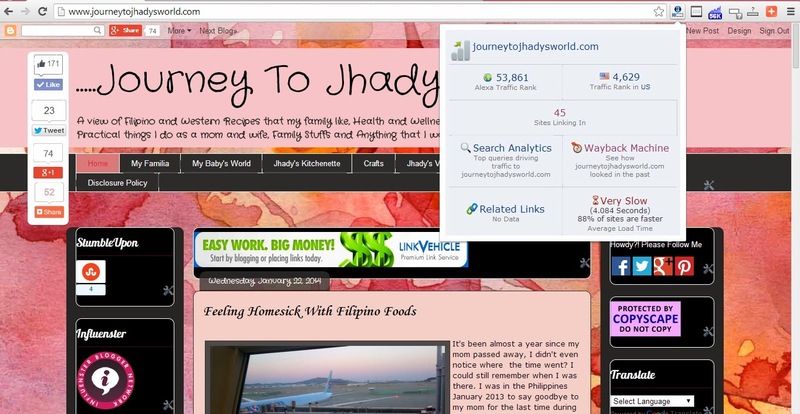 It's always nice to see goals happening..
you will always feels great when you see improvement in your blogs. just keep it hanging there soon enough you'll get a prize you won't expect. Congratulations! Hard work has paid off! I used to have millions with my alexa too, but with constant hops and all, the numbers really go down. Sis can you teach me the chicken dance? Hehehe, I can see the progress in your blog sis, soon you will have a PR and started earning a little bit. Keep it up. Hurray! congratulations sis...that's a big leap. Next is working on gaining PR na. I am doing a journey of my own to lower the Alexa rank..